Flexible when working, tough on impact. 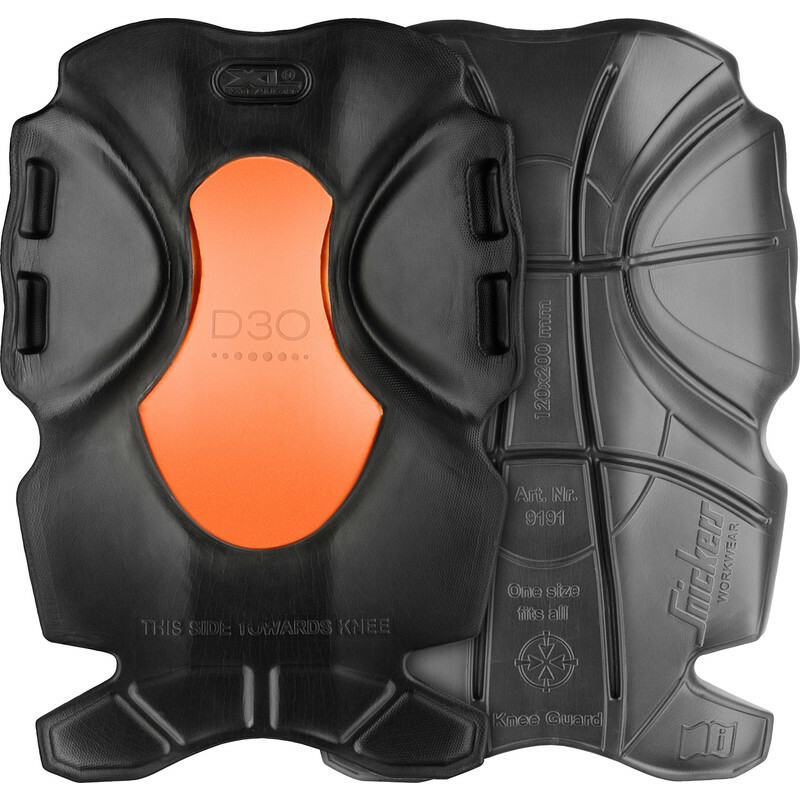 Active knee pads for active craftsmen, featuring shock-absorbing D3O® material for extreme protection and durability. Ready for the Snickers Workwear KneeGuard™ positioning system. EN 14404 (Type 2, Level 1). Snickers 9191 XTR D30 Knee Pads (2 Pack) is rated 4.0 out of 5 by 1. Rated 4 out of 5 by Millersford from Fits Dickies work Trousers Quite pleased with these knee pads. Whilst they seem a little bit firm they do keep their shape well and they fit into my Dickies work trousers without the need to trim them.